T he long days and warmer temps of a Pacific Northwest summer don’t just mean it’s time for the coast, Cascades, and Columbia River. This is peak season at our over 110 farmers markets in every corner of Washington. Now that the season’s bounty is here, join us in supporting your farms during the National Farmers Market Week, August 5 to 11. White flesh peaches, heirloom tomatoes, and orbs of melons have survived the precariousness of spring and tests of summer. They are here – with their full sweetness and flavors – on your farmers table, under a canopy, at your local farmers market. Brought to you by the farmer who nurtured the best varieties she has to offer. It may be tempting to head to the air-conditioned produce section of your chain grocery store. But if you want the best flavors, freshness, and variety, head to your local farmers market. Where else do you get dozens of farms and artisans to choose from in one place? Whether its Waxwing Farms or Bakers Acres Family Farm they are not just “your farm.” You are their shopper. Farms work year-round to offer this bounty to you. They scour seed catalogues during the dark days of winter, retreat to greenhouses to nurture the first crops of spring, and take to weeding and watering as summer finally arrives – all to bring the best flavors and nutrition to you and your family week after week. 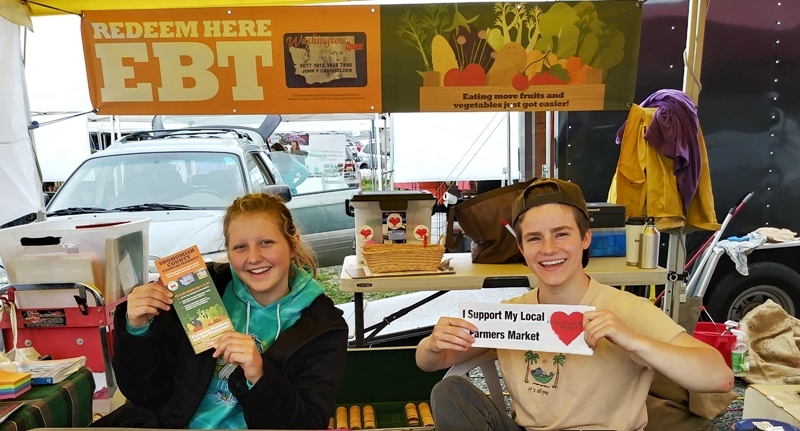 Your farmers market manager and team also work incredibly hard to make sure that everyone has access to the seasonal bounty, regardless of income. Farmers market organizers make sure that eligible shoppers can shop with help from the Farmers Market Nutrition Program and the Supplemental Nutrition Assistance Program. Many farmers markets are also active partners with their local food banks, donating produce, bread, and other fresh foods each week. They also organize cooking demos and kids events to keep fresh foods at home every day of the week . 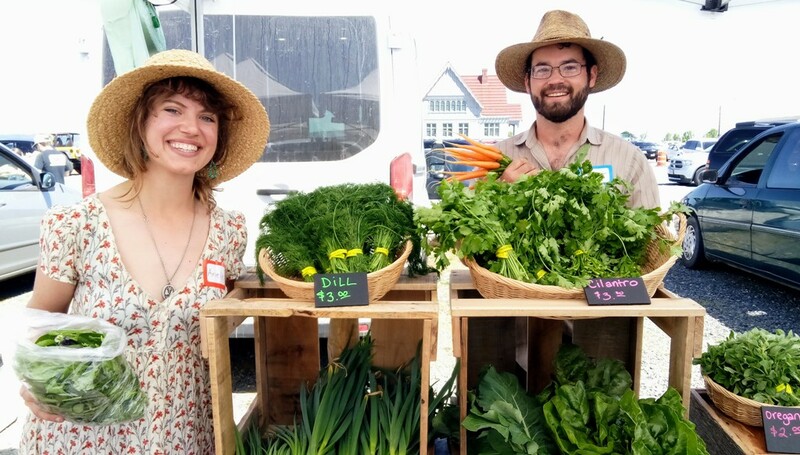 And while your farms are the superstars of any farmers market, you can also enjoy hand-crafted jewelry, woodworking, photography, fiber arts, and more. These artisans have been working all year to bring you a piece of their vision. At Washington State Farmers Market Association member markets, artisans use materials grown or produced in Washington State as much as possible and create everything here. National Farmers Market Week is also a celebration of the people who make your farmers markets possible. Behind every information booth is a dedicated group of people, many volunteer, who navigate regulations, recruit and herd vendors, get the word out, and create a safe, creative, community marketplace each and every week. This is hard work! While each market is a unique reflection of its community, all are bound by a commitment to bringing goodness to you, supporting your farms and artisans, and cultivating the community that sustains us all. Please join us in celebrating National Farmers Market Week this August by finding your farmers market at www.wafarmersmarkets.org and taking home the bounty your farms and artisans have worked year-round to share with you. ← Last Sunday for Kernel Kids!